Keep mortgage documents in a safe place. 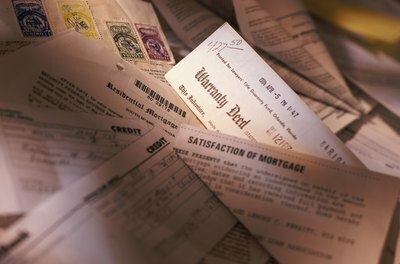 Once a homeowner has paid off his mortgage, there are certain documents that should be put away for safe keeping. At the same time, keeping every piece of paperwork that crosses the threshold of a home can result in a lot of paper clutter. Knowing which documents to keep and for how long can help reduce mounds of paperwork while still protecting the rights of a mortgage-free homeowner. U.S. mortgages generate a couple of different documents for the mortgage holder. The two main pieces of paperwork for a traditional mortgage are a deed of trust and a promissory note. These documents are also filed at the local city or county clerk’s office. Once the mortgage is paid in full, the homeowner should ask the mortgage company to release both the deed of trust and the promissory note. The homeowner should make sure that land is released from the deed of trust. Call the clerk’s office to find out what paperwork needs to be filed, such as a certificate of satisfaction, which shows that the land is owned outright. Although it might be tempting to shred the documents once the loan is paid off, homeowners should hold onto both the deed of trust and promissory note until the lien on the land is released. The homeowner should also keep the satisfaction note the bank sent that states the loan was paid in full. A homeowner who contacts the local county clerk’s office and discovers the land has not been released may have to file additional paperwork and provide copies of the deed and the note. 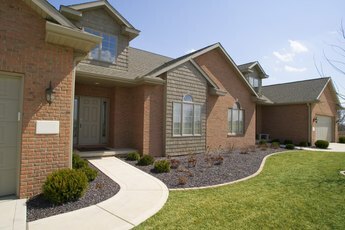 If the documents are not filed properly, homeowners may also run into a problem when it is time to sell and be unable to prove the title is free and clear. 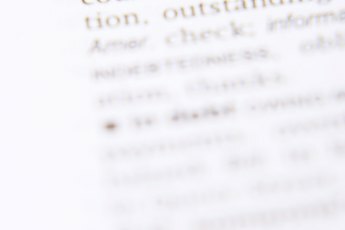 In situations where the documents were discarded or lost, it can be a long process to track down the necessary paperwork. If the paperwork was filed with the country recorder’s office, the homeowner can obtain copies. 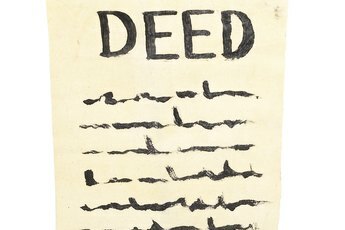 If it wasn’t filed, however, the homeowner must track down the original deed of trust and promissory note. 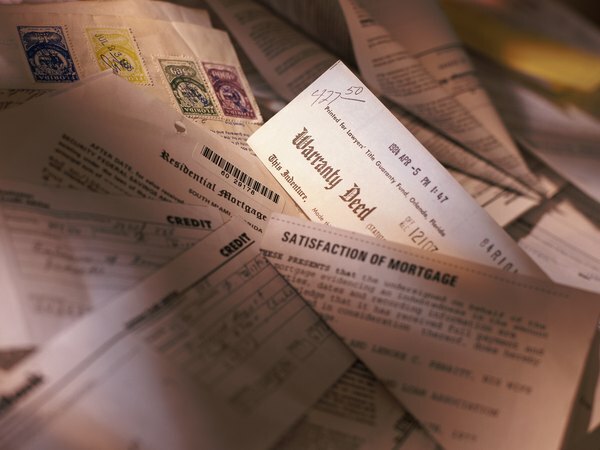 Since mortgages are often sold from lender to lender, tracking down the original paperwork can be a lengthy process. Some banks are also more organized than others in keeping old paperwork. 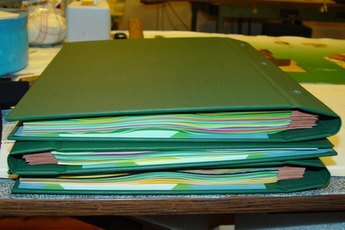 In the brochure “Keeping Family/Household Records,” the United States government recommends putting important documents into a safe deposit box. The paperwork will be in a fireproof, theft-resistant box inside a vault. Once the owner verifies that the property lien is released in the local recorder’s office, she might be tempted to throw out the paperwork, but it is best to hold onto it until the home is sold in case there are any filing snafus or paperwork issues.